This is a thriller that retells the story of du Maurier’s Rebecca in a modern US setting. In doing this, Lisa Gabriele successfully uses the reader’s expectations to both support parallels and to twist them in new directions. The story here is of an unnamed young heroine who has a whirlwind romance with Max Winters, a rich American senator who lives in a fabulous Long Island mansion on an island. This is Asherley. Max lost his wife, Rebekah, in a tragic car accident and has a teenage daughter named Dani. The parallels to Rebecca are startlingly clear! Some leap to one’s attention but it took until the book’s end for me to realise that the heroine was never named - a la Rebecca! The modernising of the situation is cleverly done as are all those parallels. The incorporation of features such as Instagrams - so vital to a teenager today - and the brattish behaviour of Dani really give a fresh feel to an old tale. As the story progresses towards the marriage (they are, of course, already living together in modern style) then one can feel a certain predictability about the links to the original book. 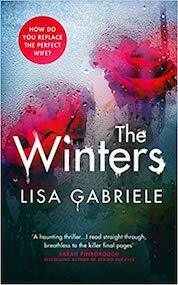 Lisa Gabriele is writing a genuine thriller though so she manages some very clever twists leading to a highly dramatic finale. I enjoyed the story and the way the author bamboozled her reader in the knowledge of their expectations, managing to confound some and to twist others. By the denouement, and consequent tidying of the loose ends, she brings in more similarities but she takes her story to a further level in looking at the future of the protagonists.